ColorMunki Smile - Calibrate. Share. Smile! color what? what makes you smile? We've all been there, looking at our pictures on the computer, wondering why they don't look the same as we remember them. Maybe all the colors look a little off, or only one or two. It just shouldn't be this way! With X-Rite ColorMunki Smile it doesn't have to. You know that people see colors differently, well so do computer monitors. Monitors are different right out of the box. An older monitor can drift over time making the color even worse. Even the conditions where you view the monitor can have an effect on what the color looks like. If only there was a cure? Smile – there is. 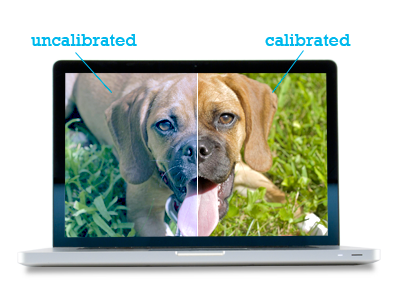 Calibration is just a fancy way of saying adjust your computer monitor to show the colors correctly. Sound complicated? Smile – it isn't. ColorMunki Smile :-) It's a simple solution to always know your computer monitor is displaying the correct colors. 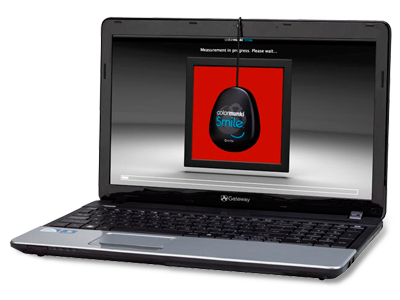 ColorMunki Smile includes a measurement device and super simple to use software. So isn't it time to Stop Guessing if the color you see on your monitor is really right? Start Knowing with ColorMunki Smile! It's simple. Start the software, place the ColorMunki Smile on your monitor and click go. That's all there is to it — you're done! 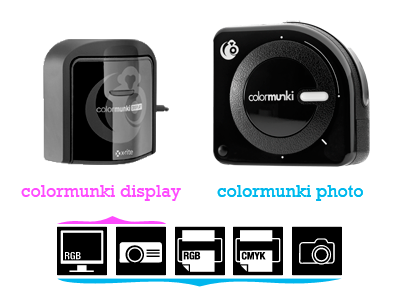 ColorMunki Smile is the perfect tool for the photo hobbyist, like the family photographer, scrap booker, or designer. You'll even appreciate the difference when you're gaming or viewing images on line. Really it's for just about any enthusiast that wants to know the color on their monitor is correct. 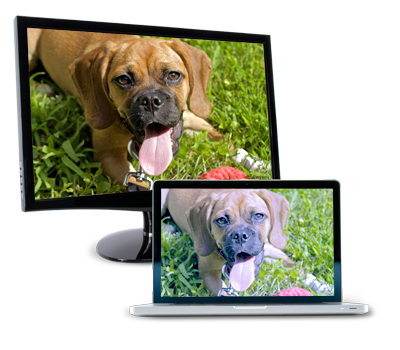 If you are looking for more in-depth solution for your computer monitor, or would like to correct the color of projectors, digital cameras, and printers – we have other ColorMunki solutions for you. X-Rite, the behind ColorMunki Smile, has been making products to correctly display and reproduce accurate colors for over 20 years. Everyone has a personal passion. 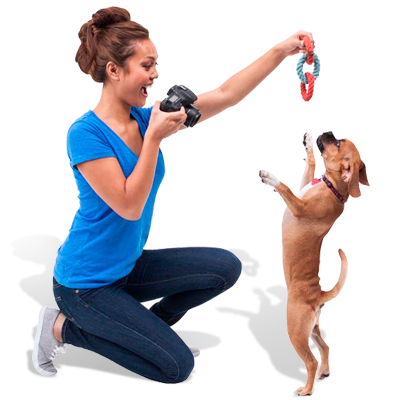 We take pictures of kids, family, pets, cars, flowers… anything that gives us joy and makes us smile. Why not share yours and qualify for a chance to win your own ColorMunki Smile! Winners will be featured on the ColorMunki Smile Tumblr blog, Facebook, Pinterest, Google+, and Flickr. How do I enter my image? It's simple! Visit the ColorMunki Smile contest on Facebook. Show us what makes you smile! 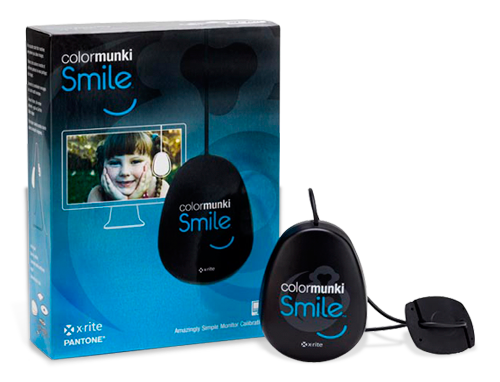 You could soon be smiling while using your very own ColorMunki Smile. You may think you see colors just fine. But professionals around the world know they can't rely just on their eyes because everyone sees color differently for many reasons. 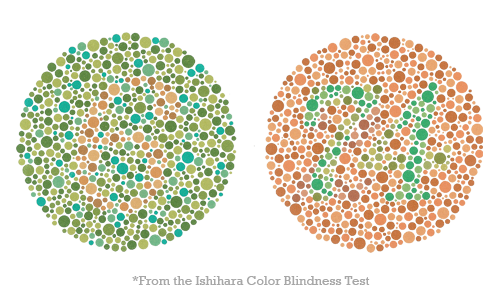 Do you have perfect color vision? 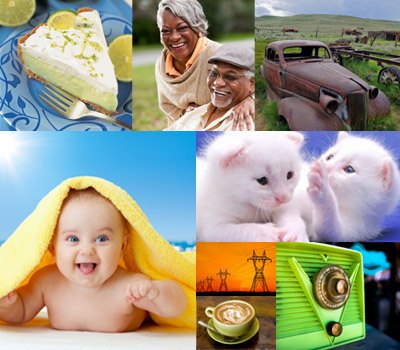 Want to see how well you see color? Take this simple on-line test. It's fun, fast and easy. © 2013 X-Rite, Incorporated. All Rights Reserved.